Uncle Sam can’t wait until Teddy Roosevelt returns from his African safari. 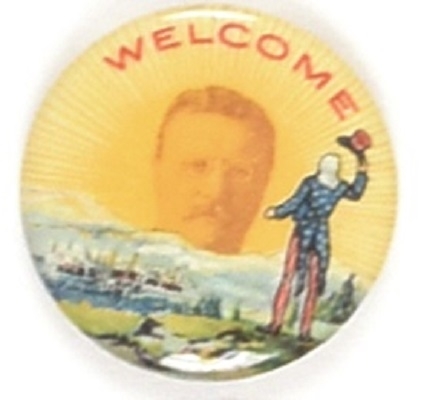 This classic 1 1/4 inch celluloid shows Sam doffing his hat to a Roosevelt sunrise. Stunning graphics make this pin a true classic. It has a Kenney back paper and is in excellent condition.